Why should You stay at Le Foyer Hostel? The answer is so simple - Cause we offer you the best quality stay for the best money value!! Recommended in Lonely Planet for more than Fifteen years and tons of guests every year recommending us, comming back and leaving with a big smile and asking for our contact info to suggest friends backs up our offer to you. How did we do that? Twenty years of Experience with international travellers helps us know what exactly is important to make your stay with us BEST EVER!! That's why we're offering you all that you'd like to ask for. 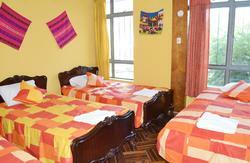 Spacious and light dorms, 3 and 4 bedded, with comfy beds, good mattresses, always clean linen (included in the price). Need more privacy? We have also single/double/twin private rooms all with cable TV! Delicious, always fresh and natural breakfast, served in our lovely balcony, so you can enjoy the early morning sight and have a great view of Santa Catalina Monastery o San Francisco Church or the Cathedral!! And won't have to worry anymore for a place to sit or if you'd grab anything to eat in a too crowded kitchen. And if you wake up late you won't have to worry because we'll have everything ready for you to help yourself with breakfast in the kitchen. 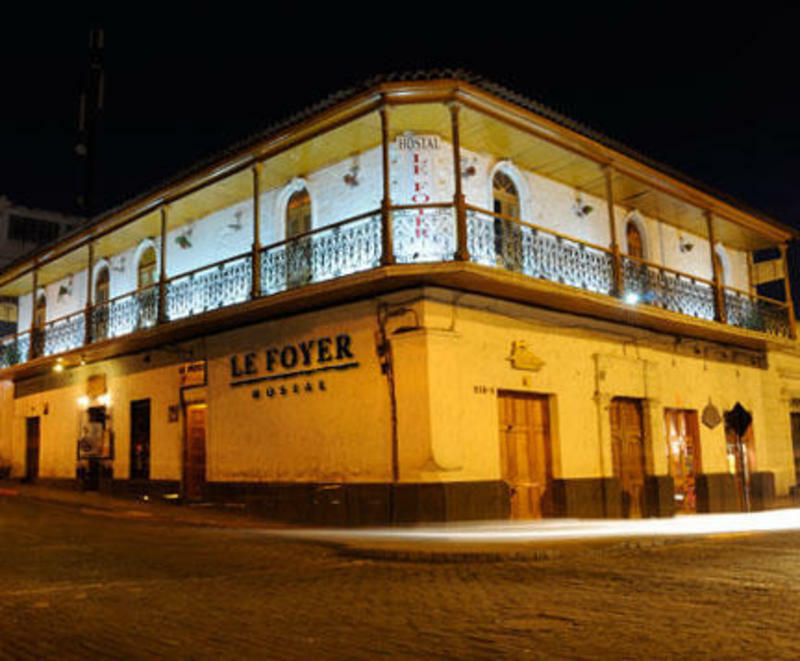 Best location in Arequipa!! Just two blocks away from the Main Square, in one of the most beautiful and well-known areas of downtown, the San Francisco Street. Super centric spot, just two steps from Santa Catalina Monastery, San Francisco Church, Mercaderes Street and with almost all attractions of the city!! And in a walkable distance from the entertainment area and nightlife center, close to the all most importants museums, stores, pharmacies and banks! And just above of the best mexican food in Arequipa, the very best sandwichs and some really good and tasty ice creams and frapes. Our friendly and acknowledged staff ready to help 24hrs a day, will share with you the best tips, when and where to go, to explore Arequipa fully during the day & night. And a great travel desk for to you to book Colca Canyon Trekkings, rafting, downhill, etc!! We speak english, spanish and a little french! Check out our great facilities! Themed Bar, WIFI, computer, terrace with the fancy sunbathing furniture, BBQ set, huge Plasma TV, movies, DVDs, Blu-Ray, table games, book exchange, etc.. All off that to provide you a good dose of fun and relax! Le Foyer's Bar Nights!! Our Themed Bar called 'Escondite de Las Monjas' recalls how nuns would enjoy life and parties if they were hidden and unseen by others!! Try our most delicious cocktails in a Happy Hour that lasts until 11pm!!! During all weekends we have great events prepared for you!! To mingle with other tourists and with locals at the bar!! Remember to claim your welcome drink when the bar is open!! Thursday - Live Music with the best artists of Arequipa! - Until 1:00 AM. Friday - Monjitos Party!! 3x2 on Monjitos all night long!! - Until 2:00 AM. Saturday - Rum and whisky Party!! 3x2 on Rum and Whisky all night long!! - Until 3:00 AM. If you have to sleep early or if you are really tired and want to have a very nice and comfortable rest during the weekend, we have a great option for you in our sister hostel just one block away from us. Check in is from 12 pm, if you arrive earlier you can leave your luggage in our storage. And if the room is ready before 12 pm there will be no problem! Important!! Taxi from the bus station are colluded with other hostels to bring customers. Beware they'll try to mislead you to other places lying to you saying that we are fully booked, or closed or any other dishonest story. If this happens, tell them you already have a reservation and ask for their names so we can report them. - ask for our transfer service (cost: S/. 20) we will send you a taxi to pick you up and bring you to the hostel. From the bus station the easiest and safetiest way to arrive is to take a taxi inside the bus station. Ask for San Francisco and Ugarte street. 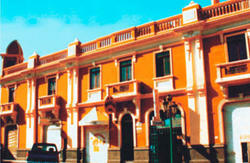 Just two blocks from the main square. Don't pay more than S/.8 (eight soles).